Searching for the sacrifice zone: Where can we say yes to oil and gas development? 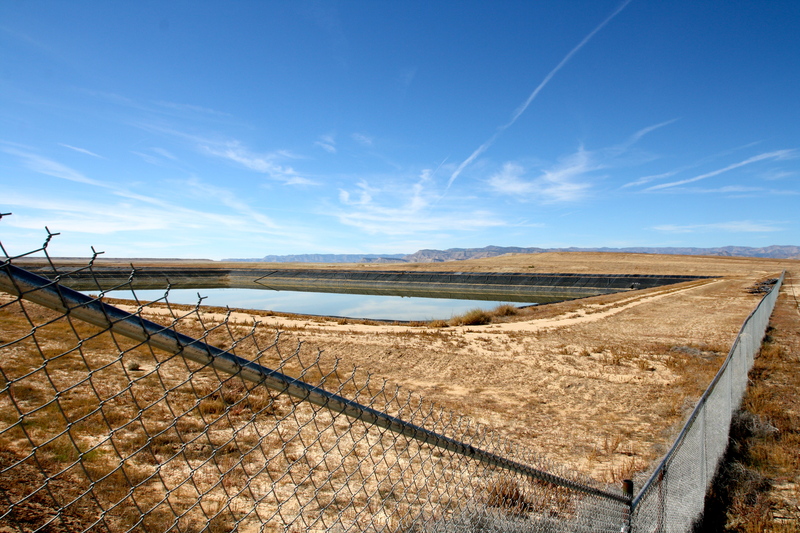 Oil and gas waste pits at Danish Flat, Utah, just across the Colorado border. Kaye Fissinger collects Don Quixote. I met the diminutive 70-year-old at her home in a quiet subdivision of Longmont, Colorado. Amid memorabilia from her work in musical theater, black-and-white portraits and an eye-popping snapshot of her body-builder daughter, the man of La Mancha stared from prints and paintings, posed in wooden statuettes and porcelain figurines. She regarded me over gold-rimmed glasses, a smile quirking her mouth. “Because he tilts at windmills,” she said. In a way, so does Fissinger, but hers are the oil-drilling rigs that have popped up lately in her area. She looked computer-tired, clad in a white turtleneck, her hair pulled into a ponytail. She led me upstairs to a cluttered home office, cleared a stack of documents from a chair and urged me to sit. When she came here from L.A. in 2006, she explained, she was worried about the separation of church and state. She didn’t yet realize that the plains further to the northeast were pin-cushioned with tens of thousands of wells, many of them hydraulically fractured, or fracked — a process that involves firing water, sand and chemicals thousands of feet underground at incomprehensible pressures — or that the boom had intensified in recent years. Then one day in 2011, an automated phone survey asked her an odd question: How would she feel if drilling took place on Longmont open space? “Radar, radar!” she exclaimed. A company, it turned out, had proposed drilling around a local reservoir. The more she learned, the more she worried. She thought of her great-grandkids. A lung cancer survivor, she thought of her respiratory health. She thought about the flat lot near her house that might be a perfect place for a rig. And in 2012, she helped found the nonprofit Our Health, Our Future, Our Longmont, which spearheaded a ballot initiative that made the city the first in Colorado to ban fracking. The next fall, despite industry’s expensive counter-campaign, several other Front Range communities followed suit. Places across the West and the country have also joined in, from rural Mora County, New Mexico, in 2013, to, most recently and significantly, the state of New York, which overlays a booming shale gas formation. The prospect of a drill rig towering over one’s home would terrify just about anyone, me included. But I still felt conflicted: A near-term transition from oil and gas is profoundly unlikely. Natural gas is slowly supplanting coal as a primary electricity-generating fuel. Petroleum runs our planes, trains and automobiles. Both make it into a dizzying array of plastics and personal care products. The corporate machine of hydrocarbon development contains a ghost. And the ghost in that machine is us. Until that changes, every fracking ban — Longmont’s, Mora County’s, New York’s — no matter how heroic and justified, simply pushes drilling somewhere else. I wanted to know: Where are we saying yes to such development, and how can we say it in a way 0that lessens impacts on landscapes and people?